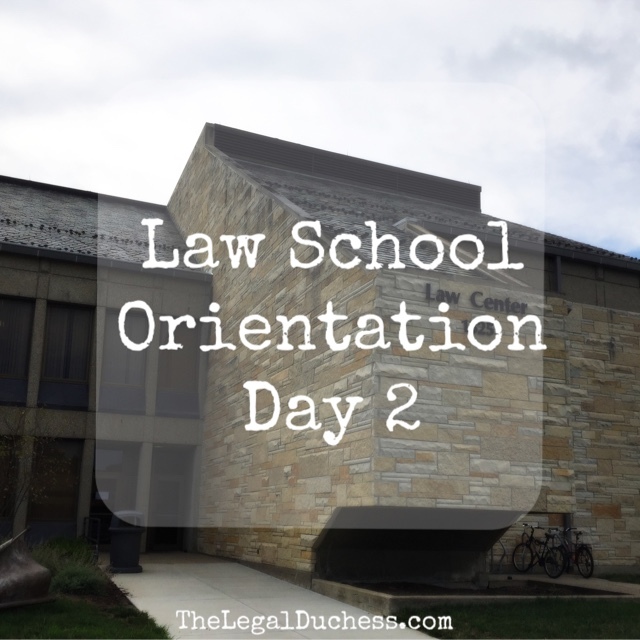 And that is a wrap on day 2 of law school orientation! Overall, it was another great day (day one recap here). I made friends, learned some tips and tricks and ate some great food. I dressed a little more casual today in slacks and a peplum top with heels. We had a continental breakfast and I sat with a very nice girl and got to know her. Next was another event about professionalism and succeeding in law school. Thankfully I found one of my friends from day 1 and sat with her for this and we talked a bit through it because frankly, it was very boring. The same info about professionalism and success is starting to get a bit repetitive. We then had a reading briefing cases workshop and I happened to end up in the room with my Property professor teaching. It was great to get a sample of his class and he was great. I also got up the nerve to raise my hand several times and only answered wrong once! Next was a meeting with our advisors. My advisor is super nice and super helpful. I was pleased to meet with him and get to know him. After this we finally got lunch. I was starving and needing caffeine. 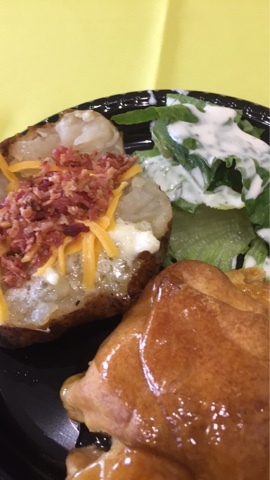 The loaded baked potatoes and apple dumplings totally hit the spot. So far the eating in law school has been great. I sat again with my new friend ( we spent pretty much the whole day together) and we met some professors. Eventually, the subject of dogs came up and we had a long conversation about our pups complete with passing pictures around. It is nice to know the professors are just like us and obsessed with their fur babies. Who knew loaded baked potato's and apply dumplings would make the best orientation lunch. After lunch was a student organization preview of SBA, Law Review, Moot Court, Trial Advocacy and a few others. I really can't decide what I want to get involved in... at least I have some time. Next, they want over the academic support system for struggling 1L's... really hoping I do not have to deal with that. Next, the associate dean talked about the legal system and legal terms. It was pretty much a recap of my high school government class. Super boring. Thankfully that ended and we got a break before starting our ethics session with the local bar association. We ran through hypotheticals about how we would apply our ethics. It was SO helpful and so interesting. The two practicing attorneys who moderated are very distinguished in the area and had some great insight and advice. 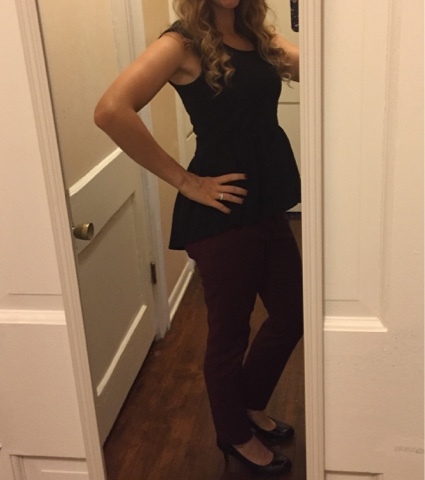 Our session went a little late so we missed the group photo :( However, we did get our directory head shots taken right before our dinner event which was a taste of local foods presented by entities within the law school such as Barbri, LexisNexis, Themis and SBA. The food was great and though I spent most of my time with my main girl, I met some other super nice people. It was a long and dry day but overall, I left feeling excited for Monday, with new friends and prepared. Then I got home and checked my email. I had an email from my Lawyering Skills professor asking us to complete Core Grammar before our second class meeting. I signed up, paid and when I tried to enter the class code, it was said to be invalid several times. I emailed my professor and I am waiting for the reply. It's rather frustrating. To make things worse, I also had an email from my contracts professor saying the bookstore messed up and we need the 8th edition instead of the listed 7th edition. wouldn't b such a big deal except for I already bought the book and completed what I thought was the first-day reading. I ended up having to buy an all new book for $200 from the bookstore and I have no guarantee of when I will get it. I emailed my professor to explain but I am now freaking out that I will not have the book for class and I will not be prepared because they gave us the wrong information and I read the wrong edition. So that is how my pretty good day went a little sour and just when I thought I had it all under control... just kidding. Law school orientation had to get the final word. So my Friday will be spent at the law school trying to get these issues figured out. Then a weekend of stressing about my lack of a contracts book and that I have to do Core Grammar and I start Law School for real on Monday. On the plus side, I made some friends who are in my classes, I met some of my professors and I learned that even when I think I have it all under control... I don't and that is okay. It will work itself out. Check back soon for the first-day recap!